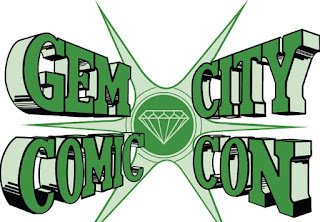 Robert Venditti has a message for you: the government— they’re bad. 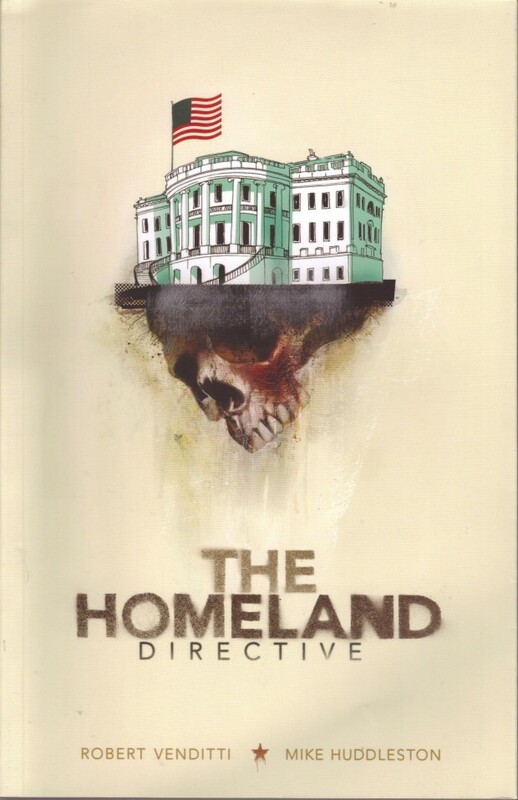 In Top Shelf Comics’ graphic novel release The Homeland Directive, Venditti and his co-conspirator Huddleston aim to show you Uncle Sam’s insidious side and how the suits and spooks that make up U.S. domestic policy would rather eat their own than sample defeat. Released this past June, Venditti—the guy behind the graphic novel source material for the 2009 Bruce Willis flick Surrogates—serves up not a ‘Who Dunnit’ but a ‘Why’d They Do It’ expose on just how far big government will go to ensure that national security stays that way. Lucky us it’s a tale that reads better than most. The skinny: on what should’ve been a humdrum speaking engagement, CDC virologist and chief heroine Dr. Laura Regan soon finds herself waist-high in conspiracy, staring down both a fledgling national epidemic and an assassin hellbent on eliminating his mark. She’s caught between the usual trust issues typical of conspiracy flicks and there are the usual suspenseful moments like when the bad guy busts in minutes after the good guys got the hell outta Dodge, but the kick here is that this yarn is good. Really good. To go into too much would be a disservice to the book and I want to keep these review things spoiler-free, so that’s it—all I’m giving you. Venditti is smart, in both dialogue and plot. And not just smart, but like, Jeopardy contestant smart (and I’ve only ever awarded that distinction to one other writer, COBRA Civil War’s Mike Costa.) While I liked The Surrogates, I feel Venditti’s work on Directive is superior; a flex in creative muscle that hits all the same poses but does so better than the rest of the competition on the stage. And of note: he’s a helluva nice cat, too; he took a few minutes time to chat with me about the biz this past Heroes Con in Charlotte instead of brushing me off as some halfwit armed with dumb questions…which I am, but he played it cool. Art-wise, Huddleston deftly captures the story— there’s no being bogged down by too much detail in the scenery or characters, a sort of minimalist perspective that works perfectly with the book. Ditto for his coloring work: he sticks to a very bland palate and only throws in some shine when a scene calls for it. Too much would simply be overkill. 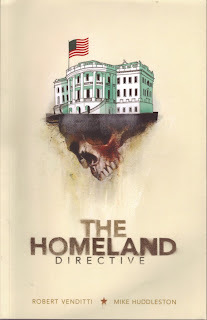 The only reason you should pick up The Homeland Directive is if you enjoy bombproof plots that involve an interesting twist on biological weaponry and well-spoken characters that sound better than most books of the “realistic fiction” genre of which I am a fan. Verdict: A rare 5 stars.